Plaque is bacteria that builds up on teeth daily. By brushing your teeth regularly, you can remove most plaque bacteria. When plaque is allowed to build up, it can become tartar, which is difficult to remove with advanced dental tools. It can lead to gingivitis, which is the first stage of gum disease. Gum disease is common in seniors because it takes years to arrive at its advanced stages. These stages are typically visible at mature ages. Preventing periodontal disease is possible with good oral hygiene and routine visits to the dentist. Related Article: Why You Need to Have Two Dental Appointments Each Year? With the increased risk for gum disease comes tooth loss. The advanced stages of periodontal disease cause loss of bone and gum tissue, which can result in teeth falling out. Other factors, such as medications and smoking, can also contribute to tooth loss for seniors. Related Article: Ask the Professionals: Are Dentures an Option for You? Failure to comply with a good oral health routine, and the consumption of sugary foods, can increase the presence of cavities. Going to the dentist for regular checkups is crucial to limiting cavities and other oral issues. Tooth discoloration is a common consequence of aging. Inadequate care of teeth plays a fundamental role in discoloration. However, foods with dark hues, such as coffee, alcohol, and wine, can cause teeth to darken. Smoking is also a contributing factor. Bad breath is also a general concern for seniors. Certain medications are known for causing dry mouth, which is a condition where limited saliva is produced in the mouth, leading to bad breath. Other influences include not brushing teeth, tongue, and dentures daily and sufficiently. Keeping teeth clean eliminates plaque, which can build up and effect the smell and health of your mouth. So, brushing, flossing, and even the use of an antiseptic mouthwash are good practices that help to prevent bad breath. 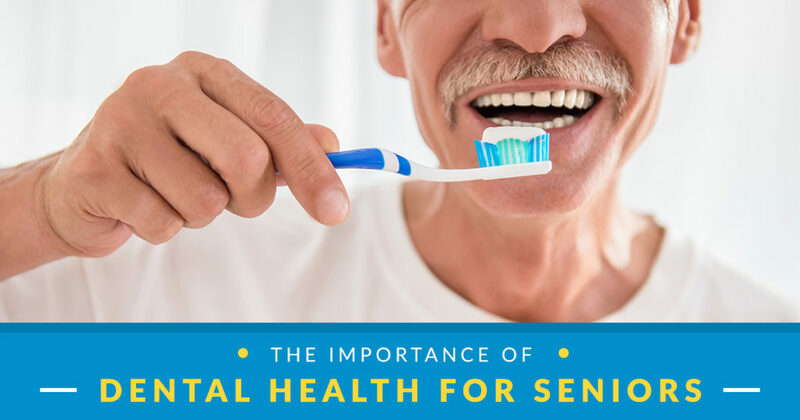 Here at Adams Dental Group, we believe in the power of excellent oral hygiene and focusing on dental health for seniors. Maintaining a healthy mouth helps to prevent the occurrence of these common oral issues. In addition to your daily dental routine, we encourage you to book regular hygiene checkups and cleaning appointments. This will enable your dental professional to stay on track with your oral health and offset any arising issues. Contact our team to book an appointment.